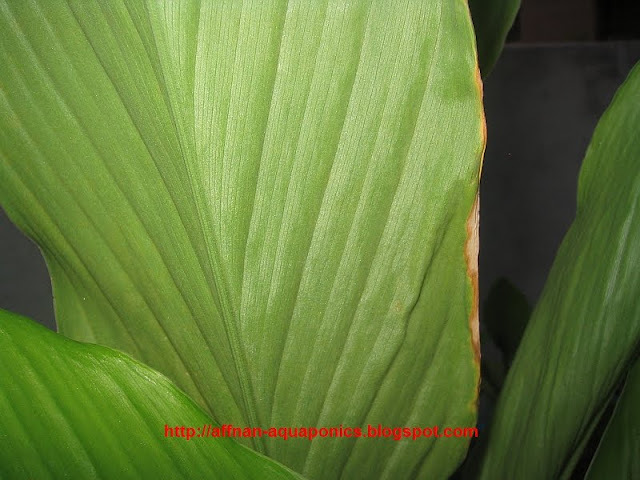 Turmeric or Kunyit in Malay is a rhizomatous herbaceous perennial plant of the ginger family. 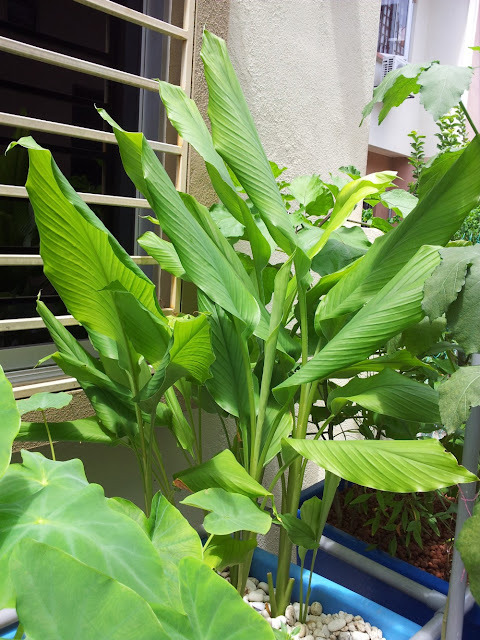 This plant is use as herb in Malay medicine and cooking, leaves and rhizome are use to add flavour to dishes and cure sickness. 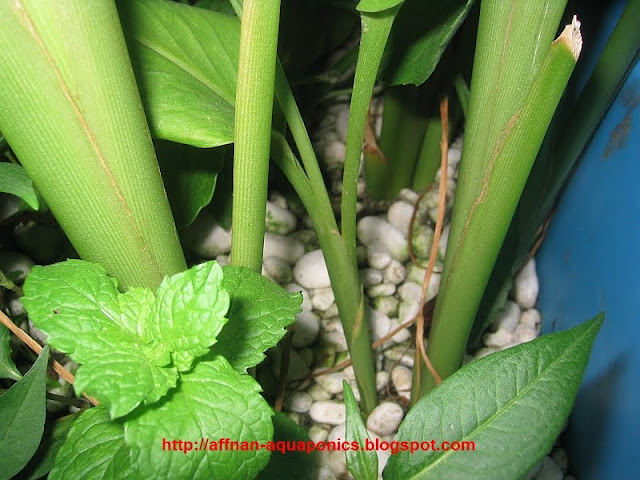 I am trying out this plants, normally it doesn't grow in water logged soil. 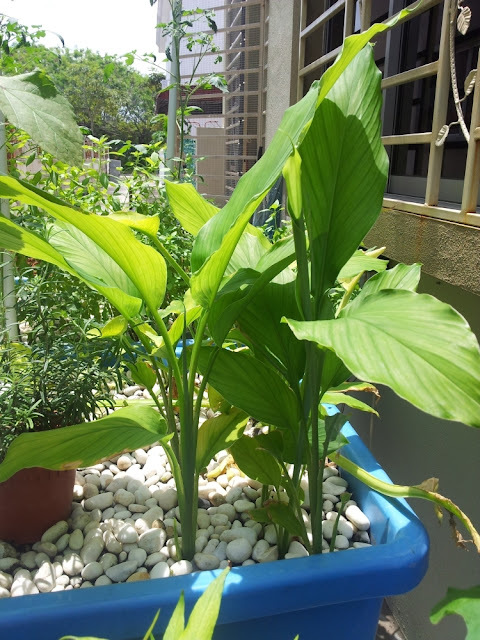 Maybe due to my pump OFF condition at night make this herb grow able. These Turmeric are on my home kit, in my main set up I dedicate I growbed for it. So far the result of this backyard test is encouraging. 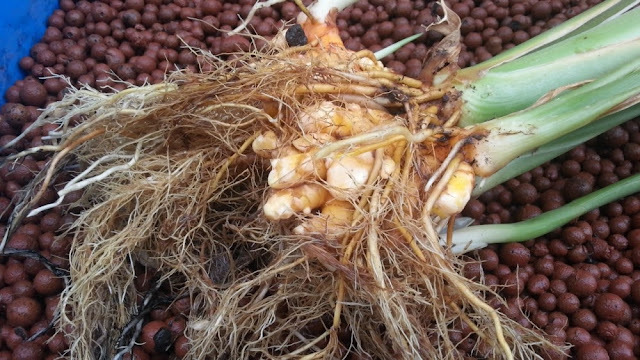 Close up above showing young shots emerging from the bed, with this its an indication that its multiplying and the rhizome survive the growbed condition. 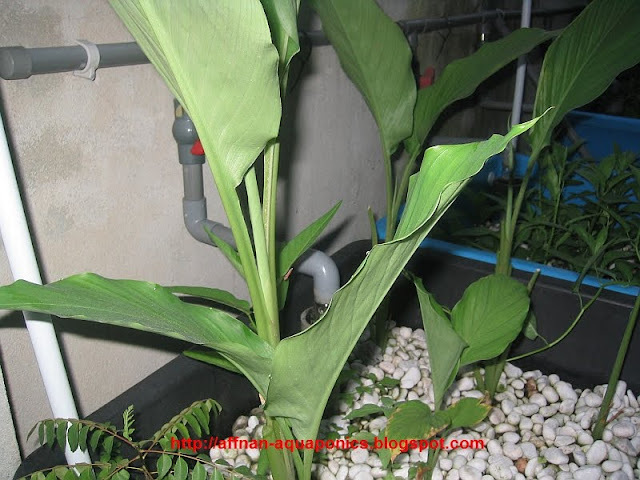 More shoots emerging from growbed. Above Turmeric in my main setup growbed, these about 1 months after replanting. Bunch of damaged leaves below. 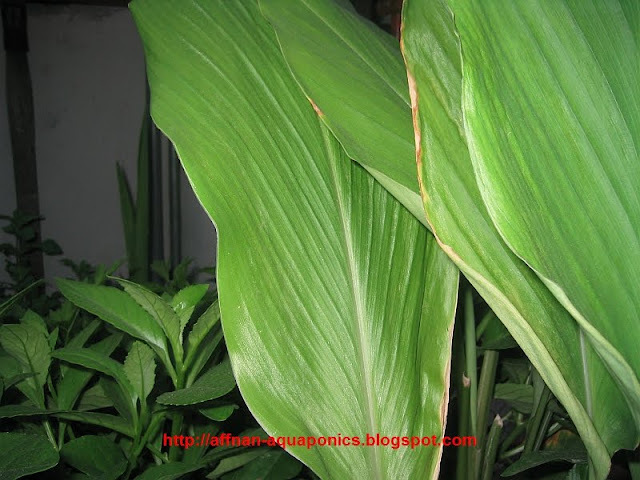 There are few problem I am experiencing, heat damage to the leaves and Bugs. On Heat damage I need to put up better shades for my grow bed. 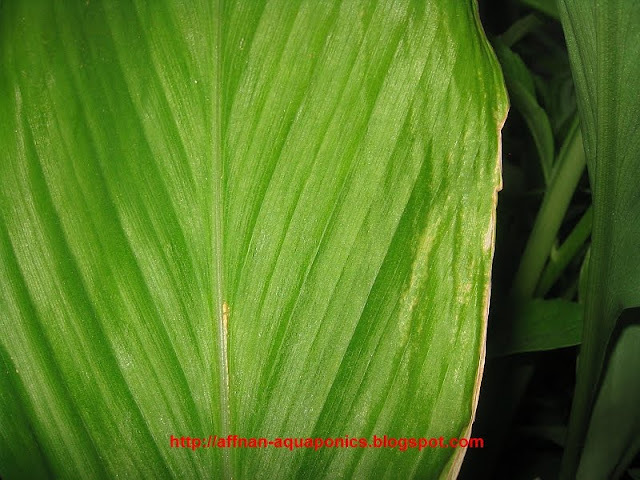 Above leaves show sign of heat damage. If the leaves are pick early then its not a problem. 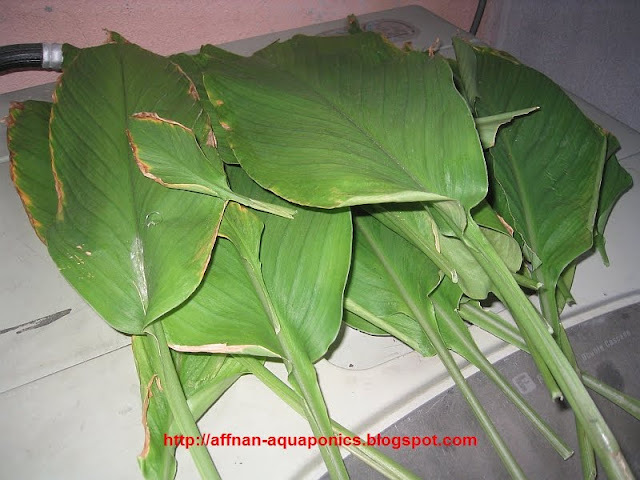 On the average, we use about 3 or 4 leaves per week for our cooking, what I have is more then what's needed. This leaf show partially eaten by bugs, mostly caterpillars. No other choice for me but to hand pick them. I just throw them in the tank for the Tilapias. 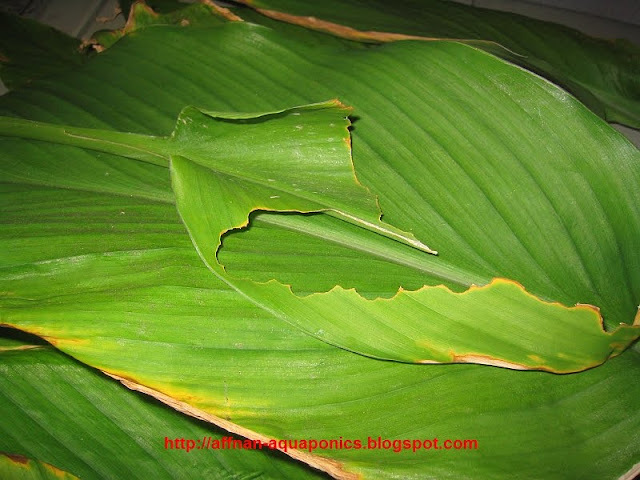 More photos of damage leaves, it still can be use for cooking, just remove the bad part and clean it up. Not a problem for flavouring. Some of the leaves were rolled by the bugs, I normally cut off and get rid of these bad leaves. 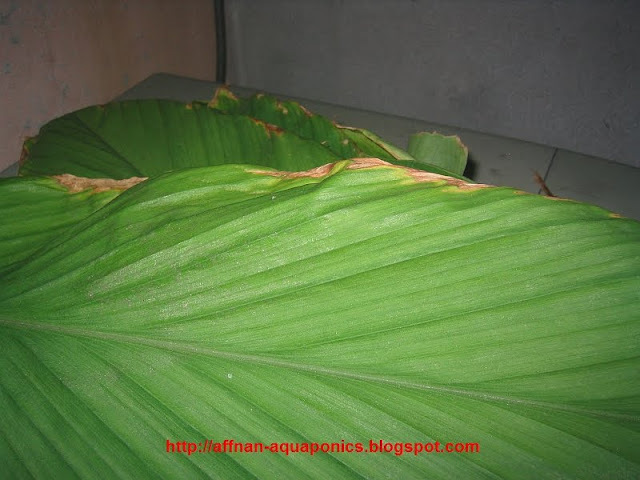 I need to find a remedy for these rolled leaves and sign of heat damage. 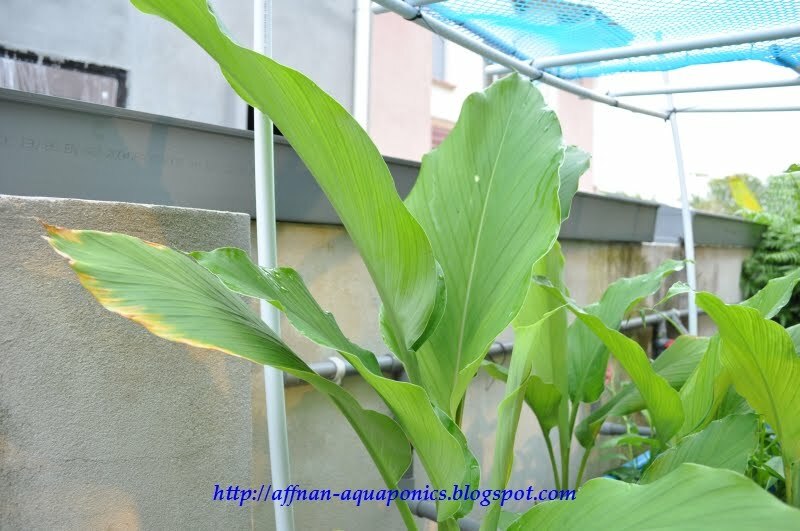 If Turmeric is successfully grown in Aquaponics, they can be use as cash crop if done in larger scale. We'll see whether these Turmeric will colonise the entire growbed. I grown them about 6 ~ 8 inches apart. If they can multiply and take up the entire growbed, then it will be great plant to try out by enthusiast. 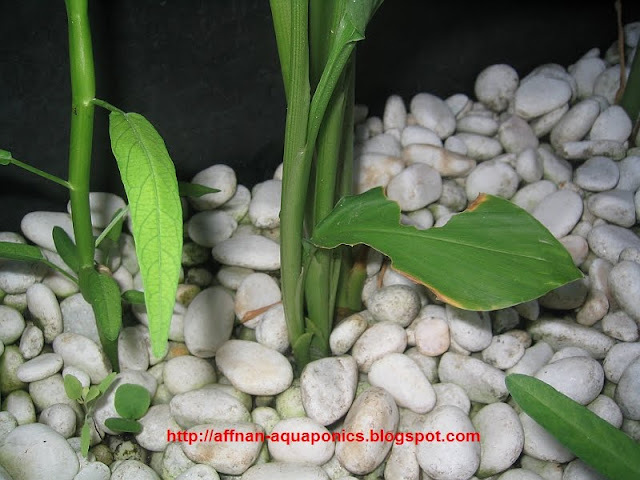 esh ingatkan, root plantation, can't grow in aquaponics. but great, this plant does well. I am a bit curios, do you switched off the water pump during night time? this will not effect the fishes life is it? 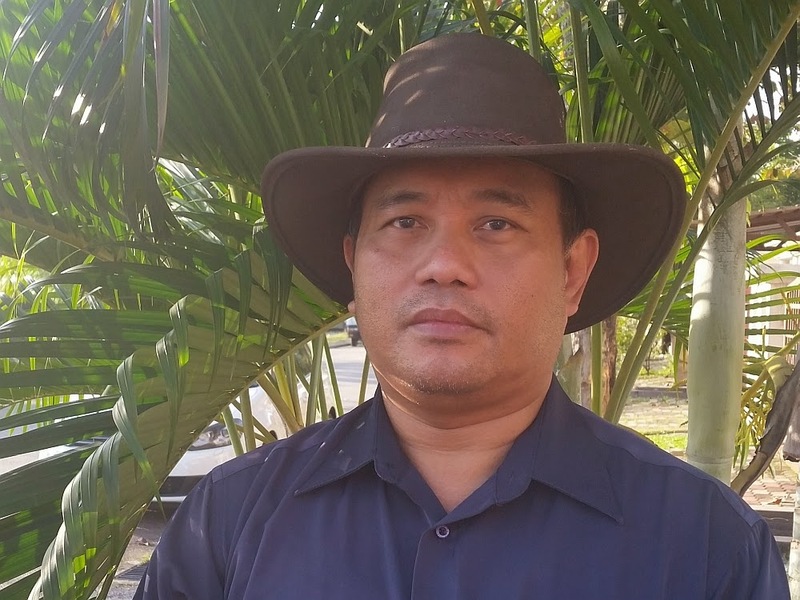 Thank you and appreciate your feedback. Pump off at night previous is 12/12 now its 18 ON/6 OFF, both cases it doesn't affect the fish.